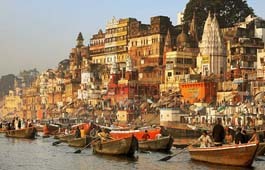 The city of Varanasi is a holy city loaded with cultural impacts. Being a famous tourist spot for the pilgrims, Varanasi also offers a great variety of delicacies, catering to the taste of the tourists of different types. Tourists can try out sourish and savoury foods at different popular restaurants in Varanasi offering a variety of cuisines. Varanasi has no dearth of eateries. Almost wherever you go out in town you will ﬁnd some or other good restaurant to eat. These joints vary according to your choice of food and price range but most of them are affordable. One should keep in mind that most of the old city cafés are vegetarian and alcohol is not served, but the newer Cantonment area is less constrained by religious air, and some of the more expensive hotels have bars. Open from evening 7pm to 11pm, Varuna at The Gateway Hotel, serves authentic Indian cuisine. The restaurant is the synonym for ﬁne dining in Varanasi. The ‘satvik thali’ served at the restaurant has been the highlight of this joint. This specialty Indian Restaurant at Ramada Plaza JHV Varanasi, serves authentic Indian cuisine from a live kitchen and the ﬂickering ﬂames ﬁnd reﬂection in the copper tiles. An elegant space attached to the lobby, with the marble and wooden ﬂooring also provides a private dining room for the desired exclusivity. To epitomise the unique ambience, the charm is created by the live Indian classical music performed during dinner hours. This specialty Chinese and Thai cuisine restaurant bring the authentic and robust Chinese and Thai cuisine in a typical oriental environment. The unique blend of black, white and steam bleach is highlighted in the Chinese motifs. It also offers the private dining space for the chosen ones. Café Fresco is an all-day-dining restaurant offering the world cuisine menu in an environment ﬁlled with healthy aroma of fresh brews of pure, blended and organic coffee. The lavish buffet prepared by their culinary team is served on breakfast, lunch and dinner timings. One can experience the international delicacies at this modern coffee shop and bar. With a wide range of Indian, pan Asian and Continental dishes you will have plenty of choices to please your palate. You can pamper yourself from an elaborate buffet or can choose from the tempting a-la-carte menu from 6:30 in the morning to 11:30 in the night. A multi cuisine dining room welcomes its guests to a wide choice of continental, Indian and Chinese cuisine. One can also select from al-a-carte and buffet meals out here. Relish the romantic sit down dinner by the pool and savour the melt in mouth Kebabs. The suggested fair is Tandoori, Bar-Be-Que and street food specialties with options galore. This amazing coffee shop serves mini meals, choice of buffet and al-a-carte meals. A wide selection of Chinese, Indian and continental menu also awaits at the Amprapali dining room. This all-day dining restaurant features a buffet that offers a variety of cuisines, including Indian, Chinese and Continental. For breakfast, one can enjoy a special counter with fresh pancakes, eggs and wafﬂes. The lunch buffet consists of six multi-cuisine with a counter for chats and tava items selected by the Chef. At dinner, choose from an extensive a-la-carte menu. Their kebab menu offers choices to vegetarians and non-vegetarians including chicken, mutton, ﬁsh and veggie selections. Specialty Indian breads are served with their lentil and vegetable dish of the day. This tea and coffee lounge located in the lobby, is an ideal place for travellers to relax or hold an informal business meeting. 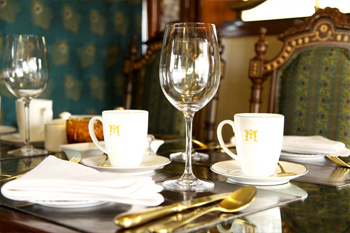 One can enjoy delicious coffees, soothing cup of teas, imported wine and beer and a selection of snacks from the lounge. Scrumptious grilled meats, ﬁsh and poultry can be enjoyed in a tastefully done setting at their poolside bar-be-que. Satiate every craving you’ve ever had with the Continental, Indian and Chinese delight. Dine amidst swaying palms and cool green ponds in the glass-encased multi-cuisine restaurant of Hotel Hindustan International. Savour the delights of authentic Indian spices blended to bring a fusion of North Indian and North West Frontier cuisine at Hotel Hindustan International. Bringing a world of experience to your table, their exciting culinary traditions promise to make each visit an experience you will truly savour. Located on the lobby level, Chef & I is an upscale, full service restaurant that serves hearty portions of well prepared cuisine. An all new interactive multi-cuisine restaurant, it boasts of a glass enclosure through which guests can watch the chefs actually at work. A specialty Indian restaurant Red Chilli, offers a wide variety of carefully selected Indian menus and an atmosphere to suit all tastes and moods. The restaurant comprises well arranged dining tables and 92 covers in a bright and scenic ambience in which guests can enjoy imaginative food prepared from the best procedure and freshest spices to make your dining experience a delight. The Ideal Café is a specialty coffee shop and multi-cuisine restaurant comprising 75 covers serving ﬁnest of Indian, Chinese, Continental and Mughlai dishes in a comfortable and bright ambience. Situated on the stylish all day dining restaurant offers a perfect sitting and caters the need of business professionals and guest at leisure. The cafe prides itself in chefs specially prepared scrumptious breakfast buffet. Keshari Restaurant is one of the popular restaurants in Varanasi. If a tourist seeks to explore the Old City, he or she should visit the Keshari Restaurant. Mostly local pilgrims and confused foreigner tourists visit this restaurant. The restaurant offers a good variety of cuisines starting from Indian, Chinese to continental dishes. But tourists are advised to taste Indian dishes. Among the popular restaurants in Varanasi, Sindhi Restaurant is worth mentioning. It was created in 1954. The restaurant offers a cosy sitting arrangement with wooden tables covered with plastic tops. One can order for a special thali at the restaurant. Delicious vegetarian dishes are also offered at this restaurant. Good Indian food is available at this restaurant. Blue colour is used as the theme of the restaurant. Unlike other restaurants in Varanasi, this restaurant has to offer Italian, European, French dishes rather than Indian cuisine. 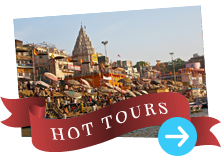 Thus a tourist can ﬂatter his taste buds with a variety of cuisines at different restaurants of Varanasi.